Rums distilled and bottled by the Foursquare Distillery in Barbados. Under various labels they offer a variety of cask matured and cask finished rums. 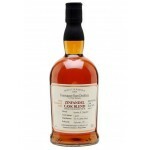 The Foursquare Exceptional Cask Zinfandel Cask Blend is an 11 years old Barbados rum from the Fou.. The Foursquare Premise 10 years old is a single blended Barbados rum from RL Seale. This rum matu..